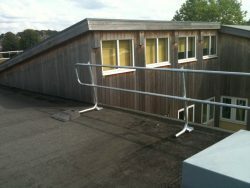 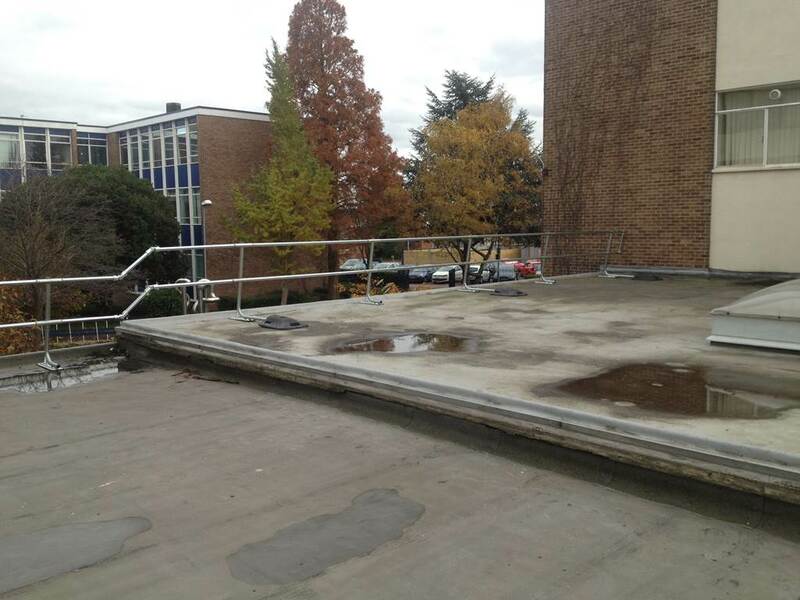 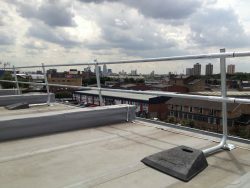 Freestanding Roof Edge Protection Guardrails? 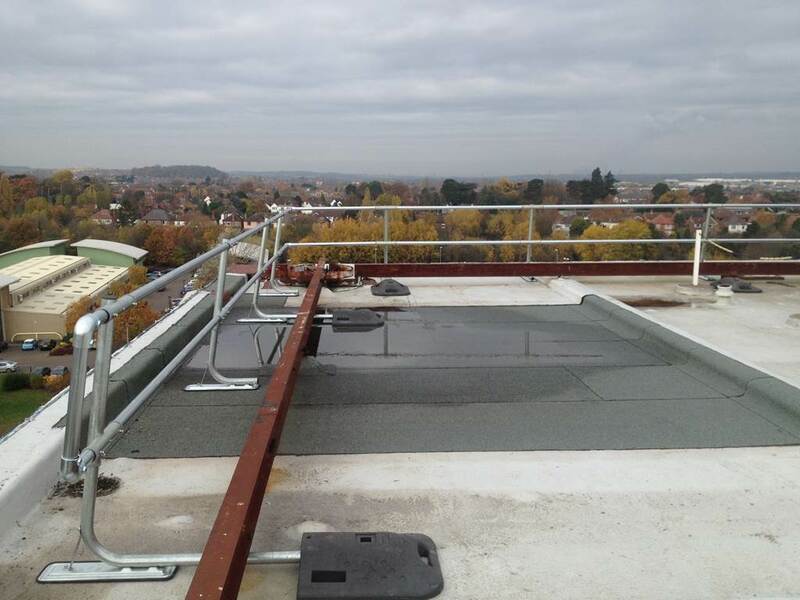 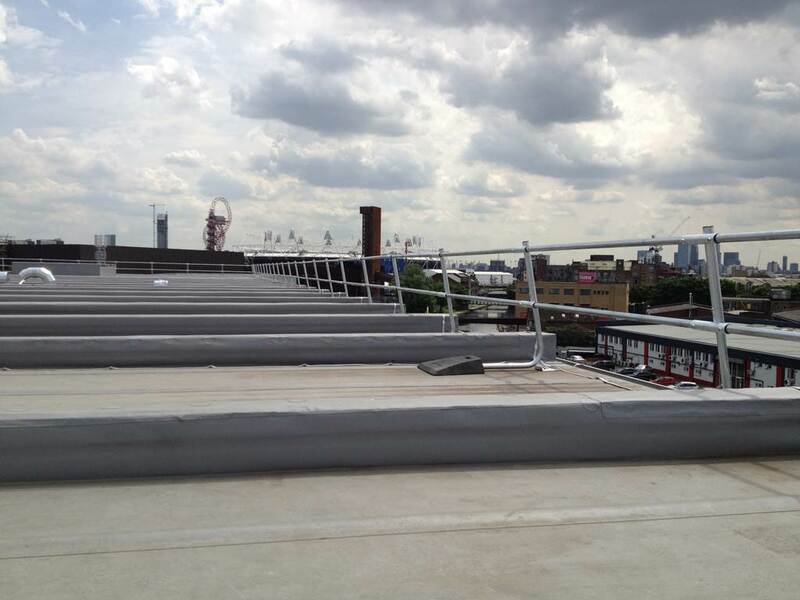 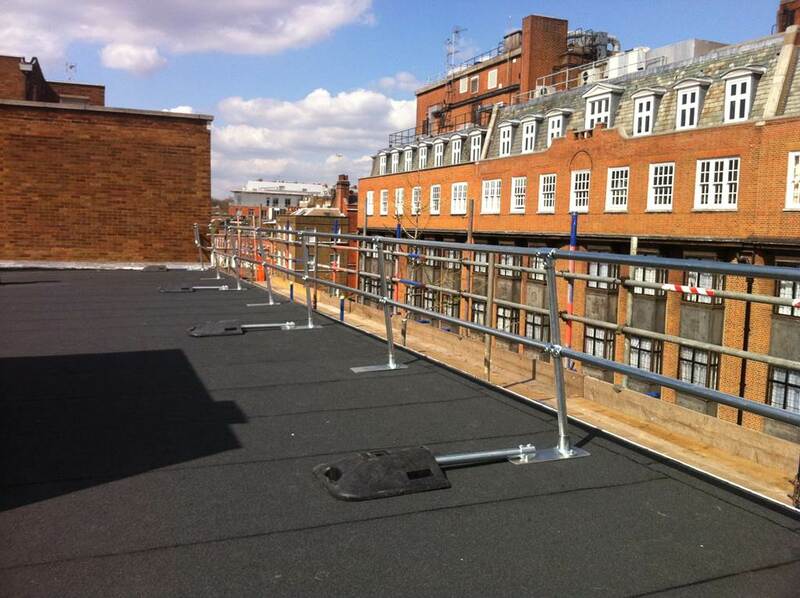 Heightsafe’s freestanding edge protection system uses the best proven counterbalance design to achieve exceptional stability on all roof surfaces when working at height regularly is unavoidable. 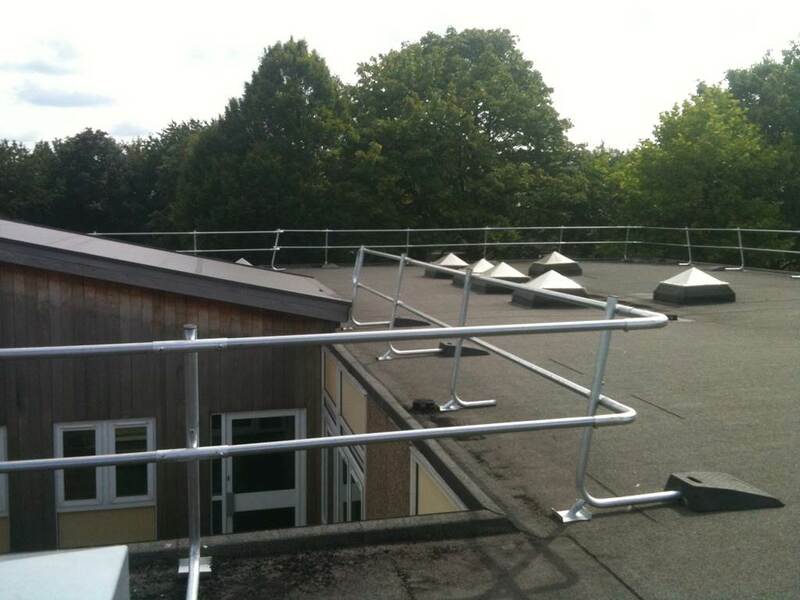 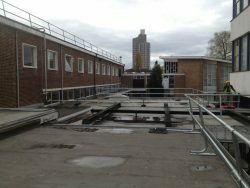 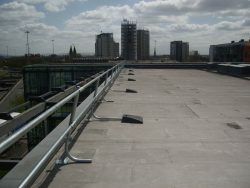 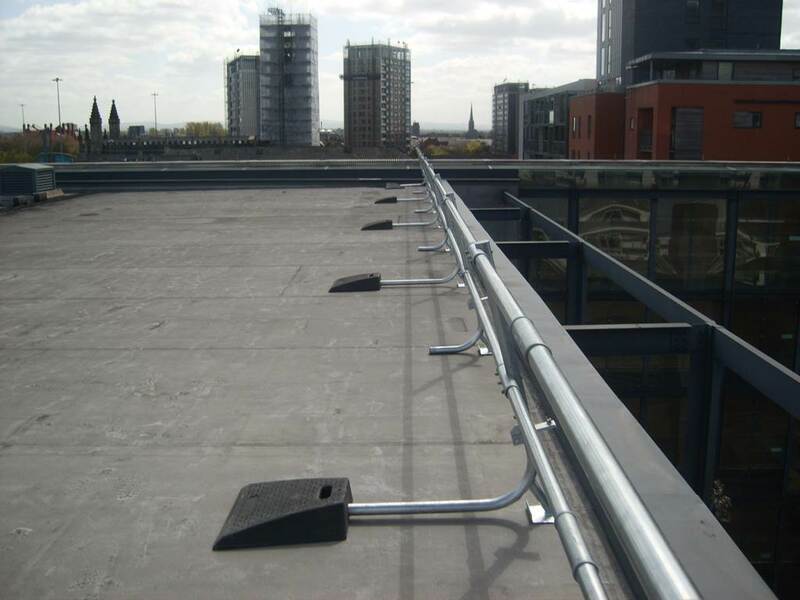 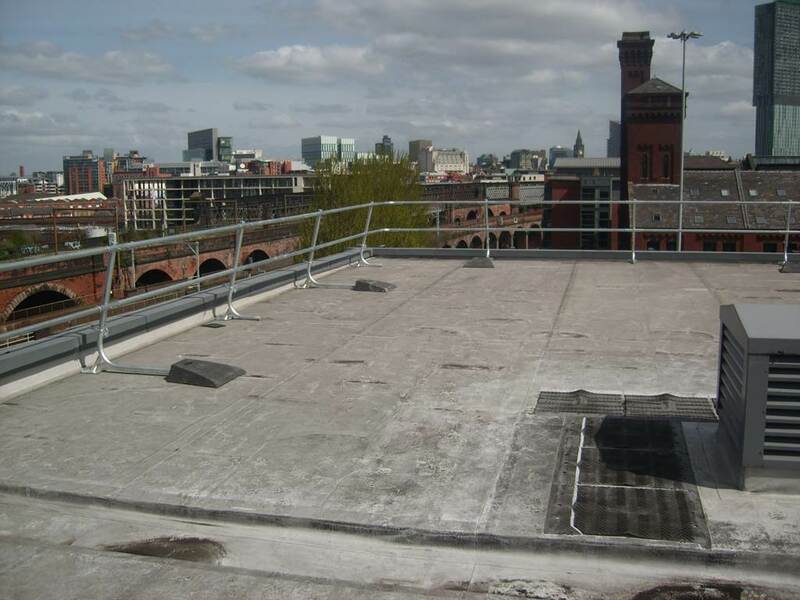 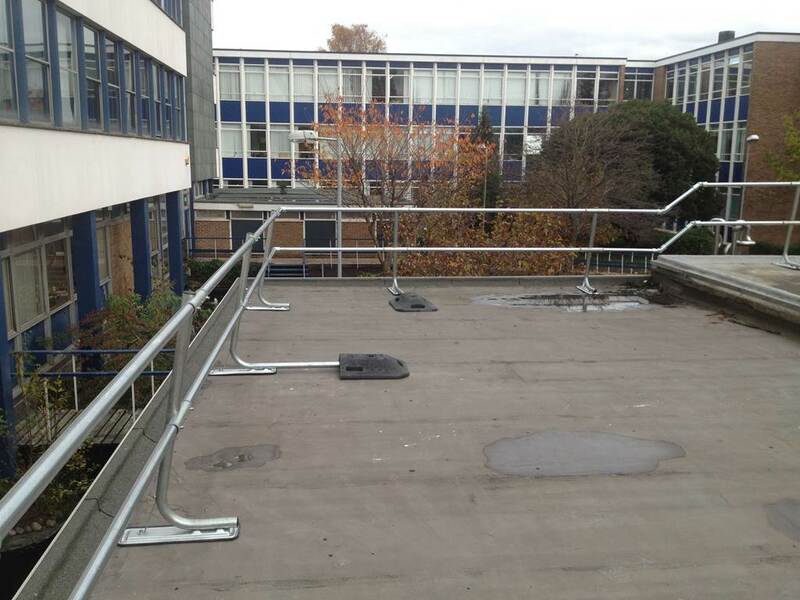 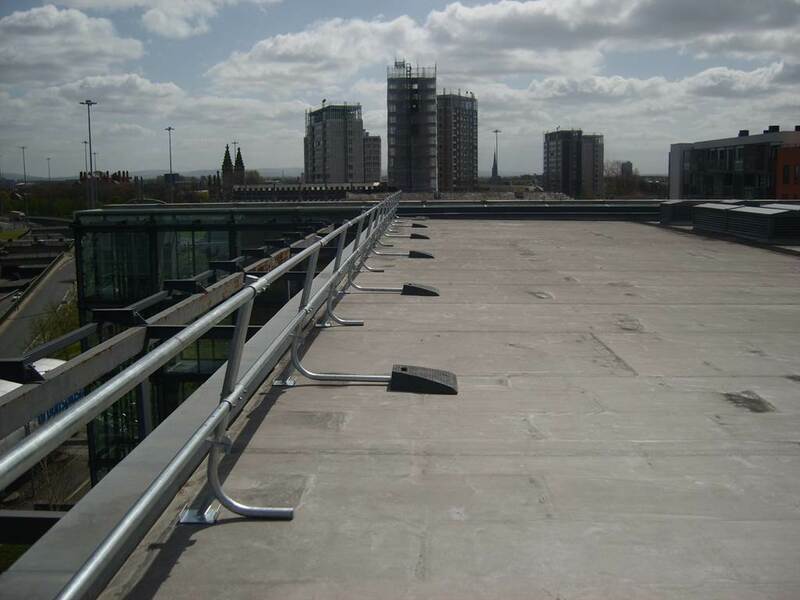 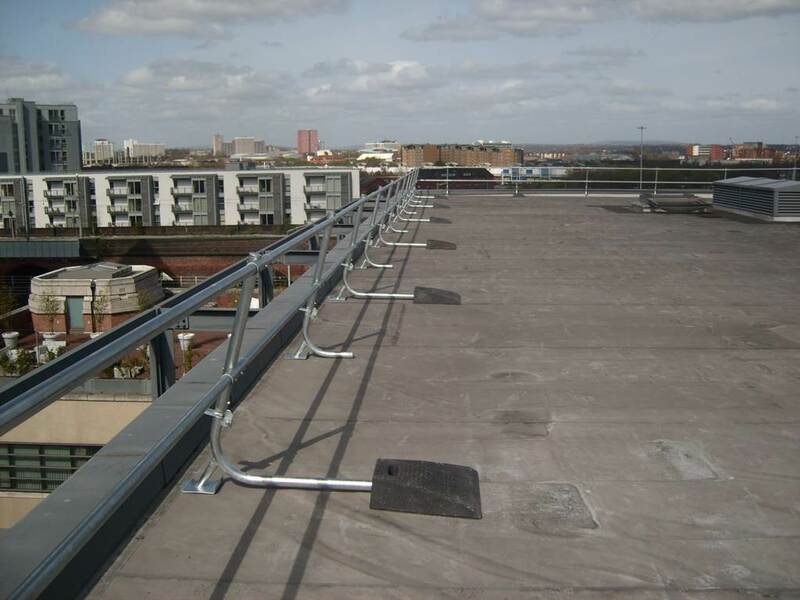 Being a completely freestanding guardrail and handrail system, there is no need to penetrate your roof covering for this lightweight, safety guardrail solution. 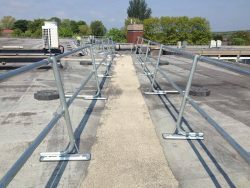 The safety system is supplied in kit form using modular components which are quickly and easily linked together to form a sturdy and durable edge protection measure. It is recommended that collective protection systems should be tested and inspected at frequencies not exceeding 12 months. 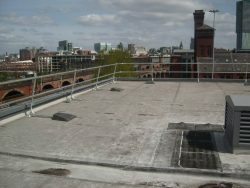 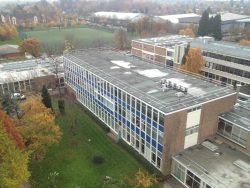 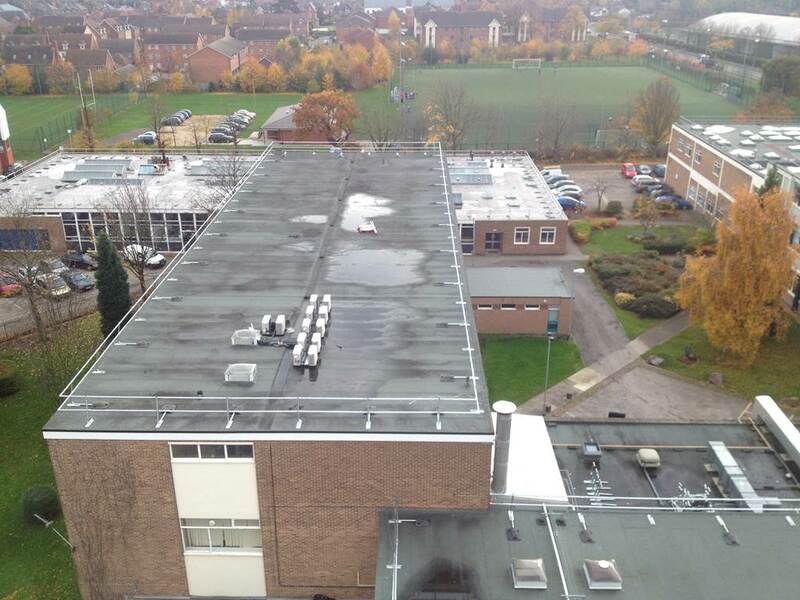 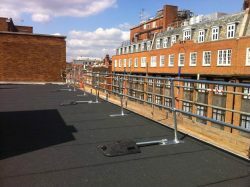 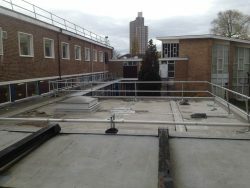 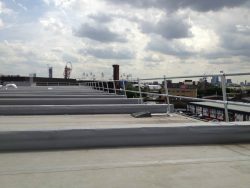 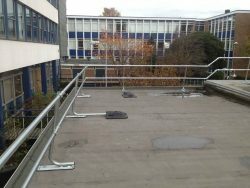 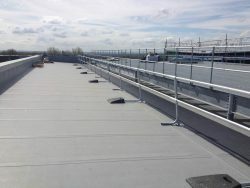 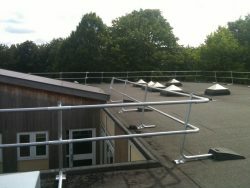 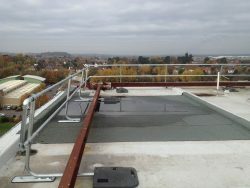 Heightsafe also provide Testing and Maintenance, ensuring your collective edge protection is compliant. Q: Will this system cause damage to my roof? 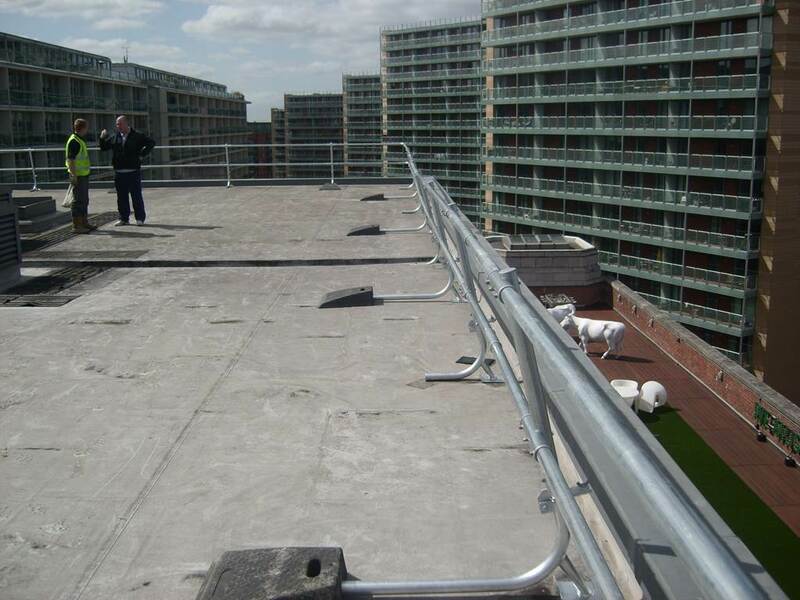 A: No, Freestanding Weighted Guardrails have no impact on the existing roof surface, providing a collective means of protection whilst having no effect on any existing roof warranty’s you may have in place. 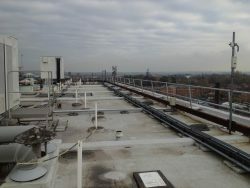 Operating throughout the UK, Heightsafe have expert knowledge when it comes to work at height. 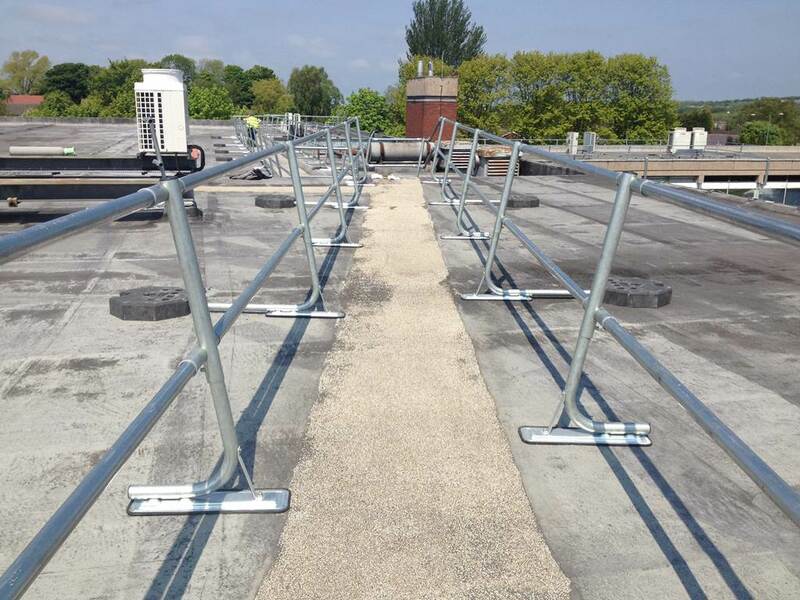 Specialist teams hold all relevant and industry standard health and safety accreditations, so you can have peace of mind knowing that you are in safe and trusted hands. 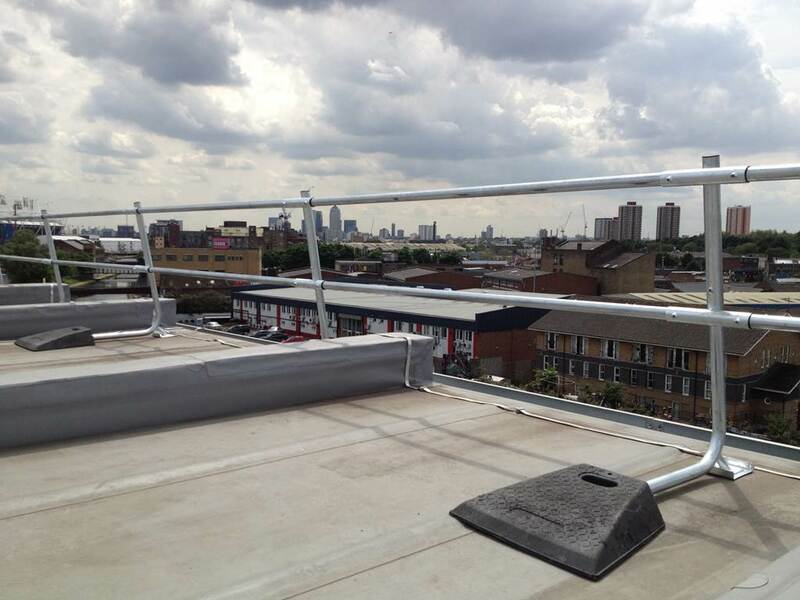 Offering a full 360 service, wherever you are in the UK, with multi or single sites, Heightsafe are happy to help.